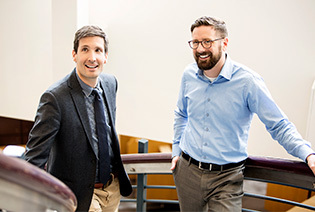 UCalgary Law is an integral part of both a city and province that have become world leaders in the resource and energy sector and that have developed significant high-tech industries. These developments are reflected in the legal practices of the firms that make Calgary home, and which support the highly sophisticated financial and cross-border activities of their corporate clients. Our faculty are among the finest legal scholars in the nation, and their work is cited by academics, judges and governments around the world. Our staff is the epitome of professionalism. Our students continue to be exemplars of the values of leadership and social commitment that have lain at the core of our school's ethos since our foundation more than 40 years ago. 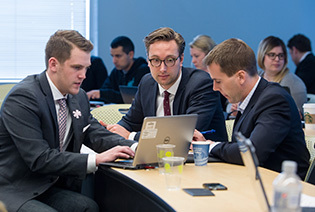 UCalgary Law is one of Canada’s most innovative law schools. From unique experiential learning opportunities and courses that will prepare students for tomorrow’s legal services market, to one of the highest articling placement rates in the country, we are producing some of the best graduates who are ready to take the legal world by storm. 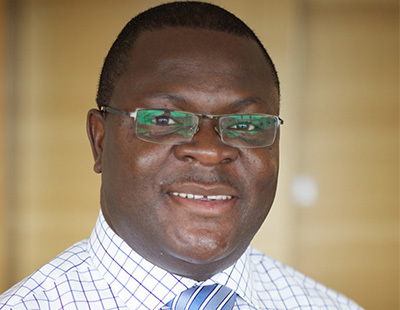 Want to learn more about what's happening in the Faculty of Law? We invite you to watch this video about our Calgary Curriculum which puts us at the forefront of innovation in North American legal education.